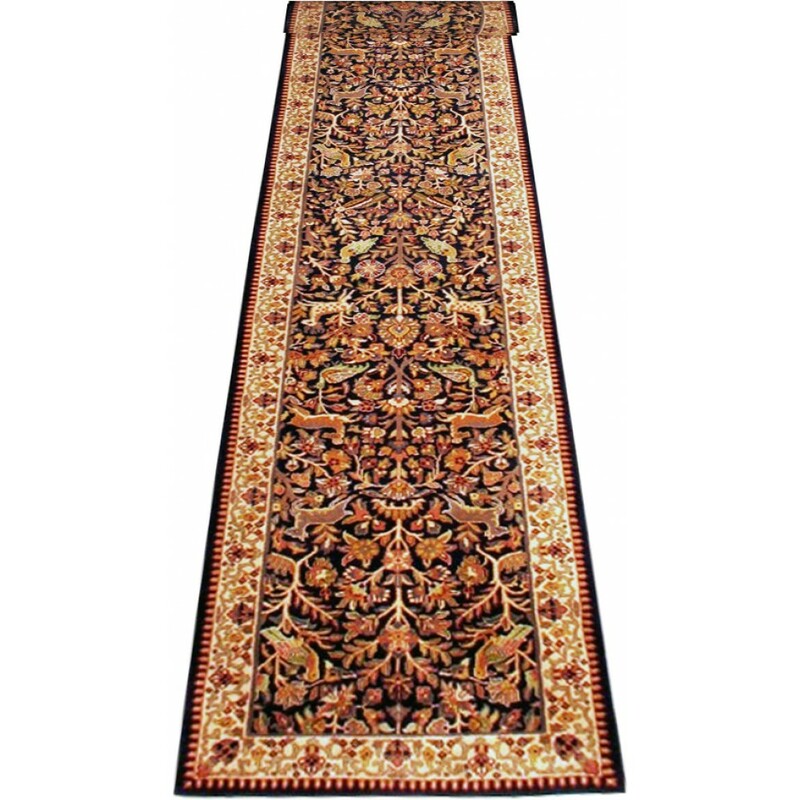 The size 2’ 7” x 19’ 8” Animal Tabriz from India. This rug from Bhadohi India has 130 knots per square inch and has a all over floral pattern with deer and birds playfully within. It has a navy field and ivory border. Accent colors are soft greens, gold, brown, rose, medium and gray blue and a touch of rich red. Size (ft) 2'7" x 19'8"